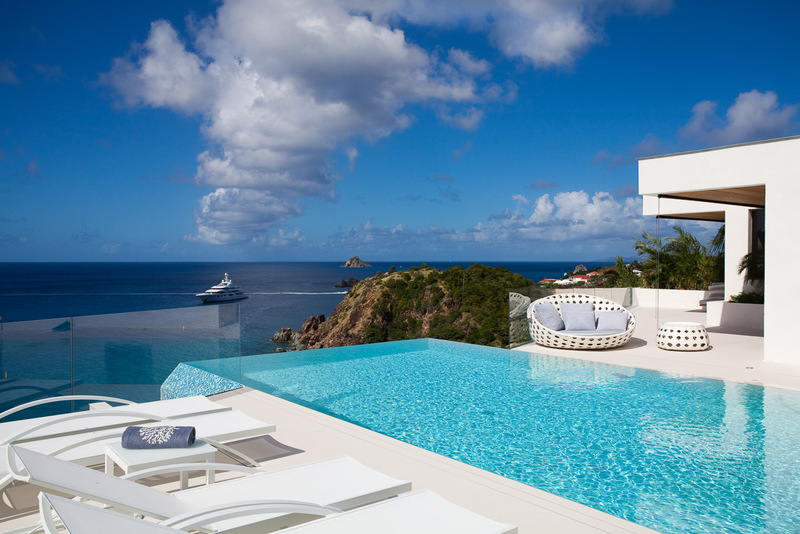 Perched above the picturesque Shell Beach, architecturally designed Vitti Villa offers the ultimate in private luxury accommodation on St Bart’s. 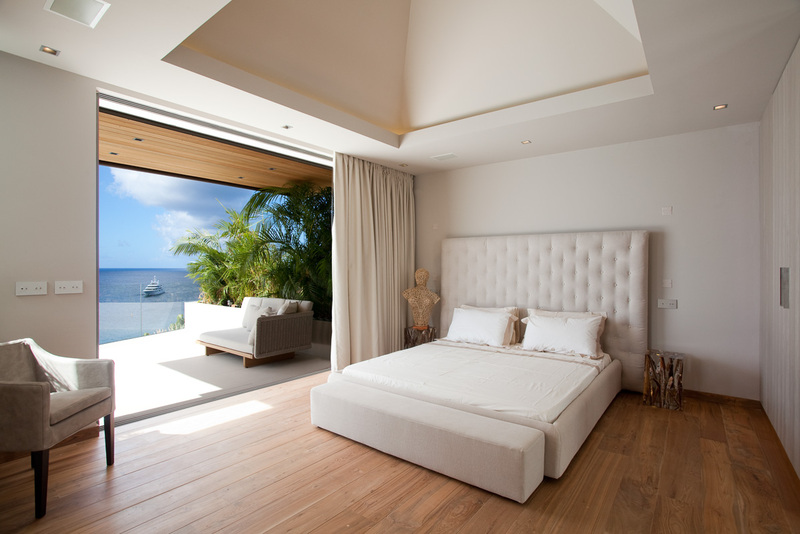 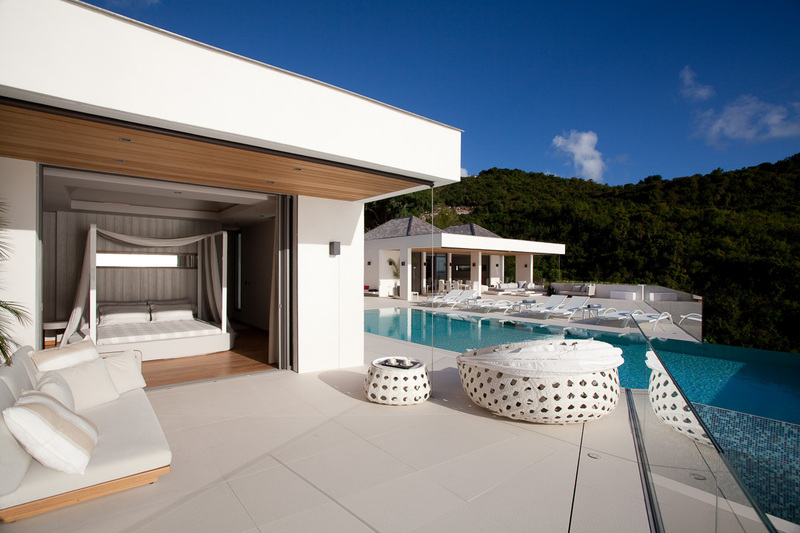 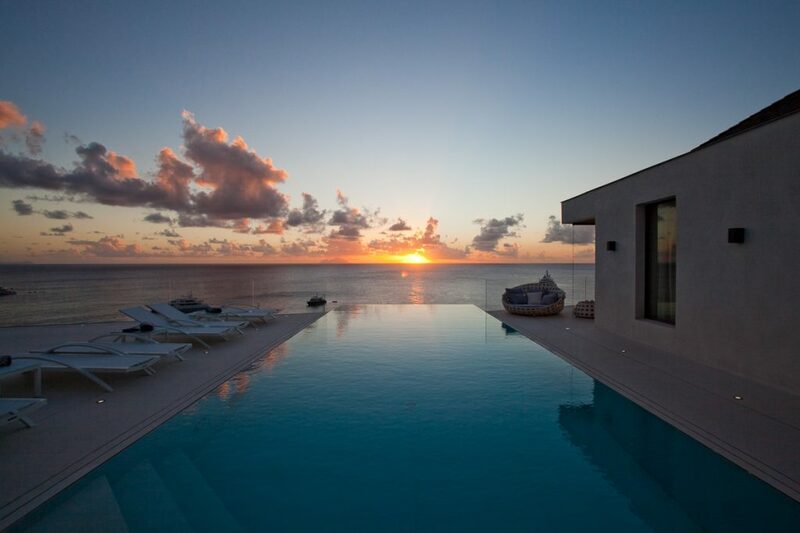 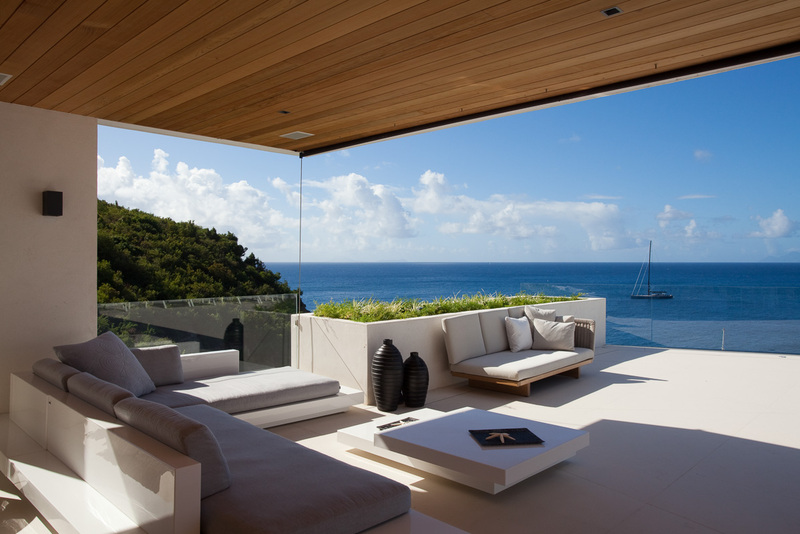 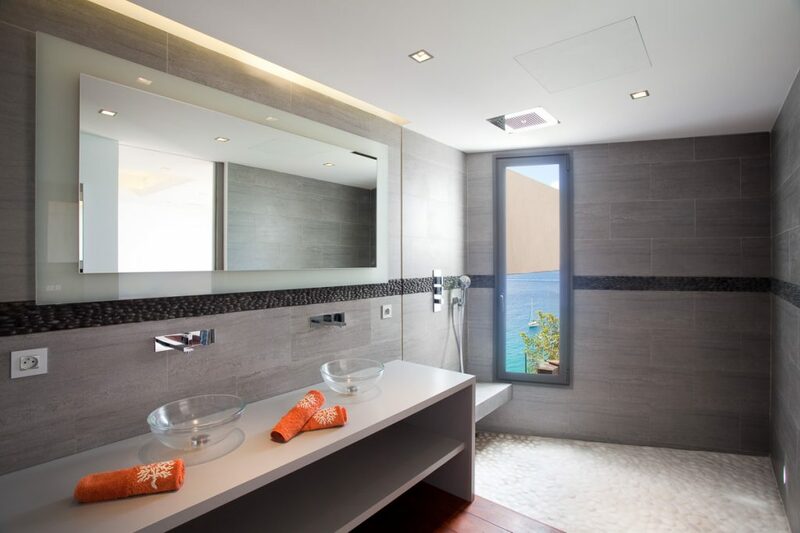 Built into the hillside over several different levels, the villa was designed to make the most of the world class views, with sleek contemporary lines, extensive glass and a neutral palette to maximise the stunning surrounds, this outstanding St Barts villa also includes an array of luxurious appointments. 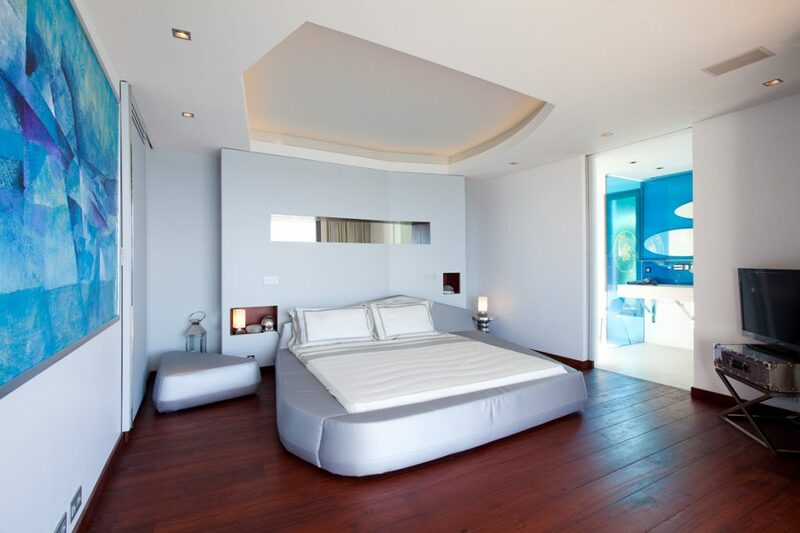 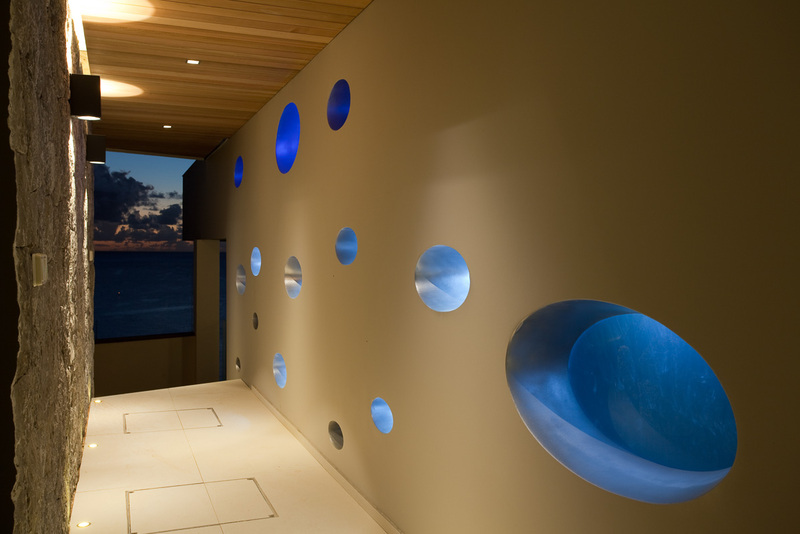 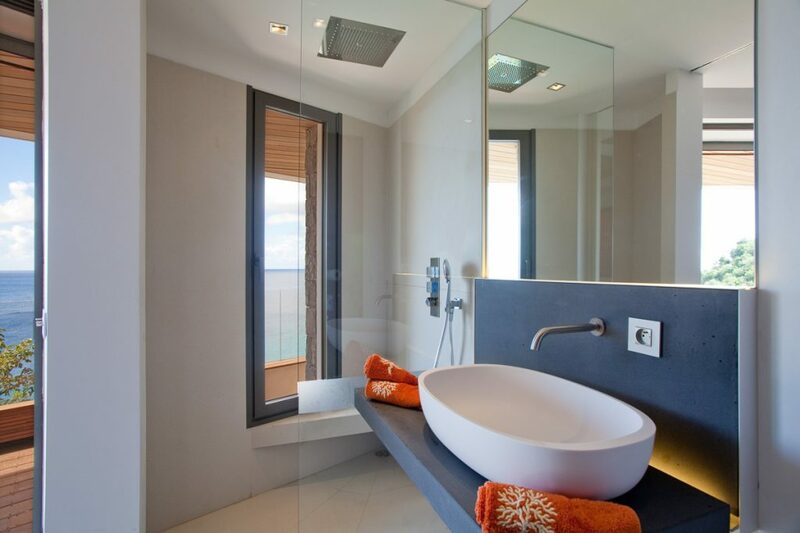 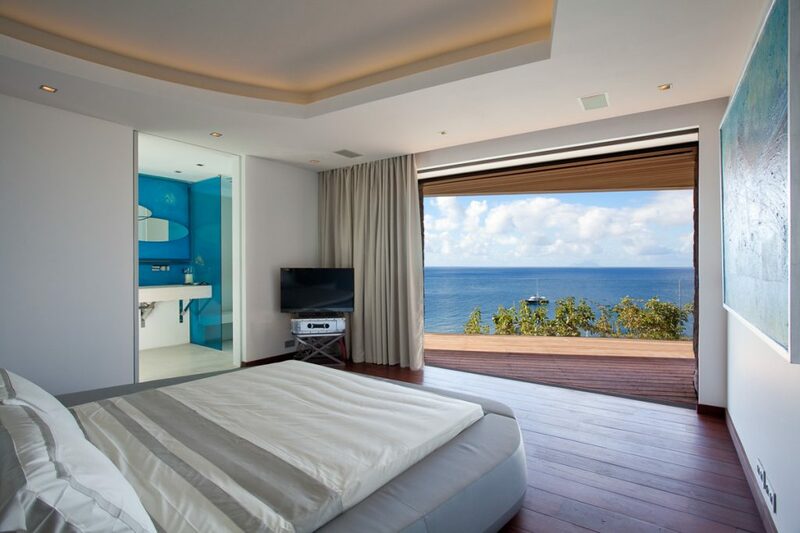 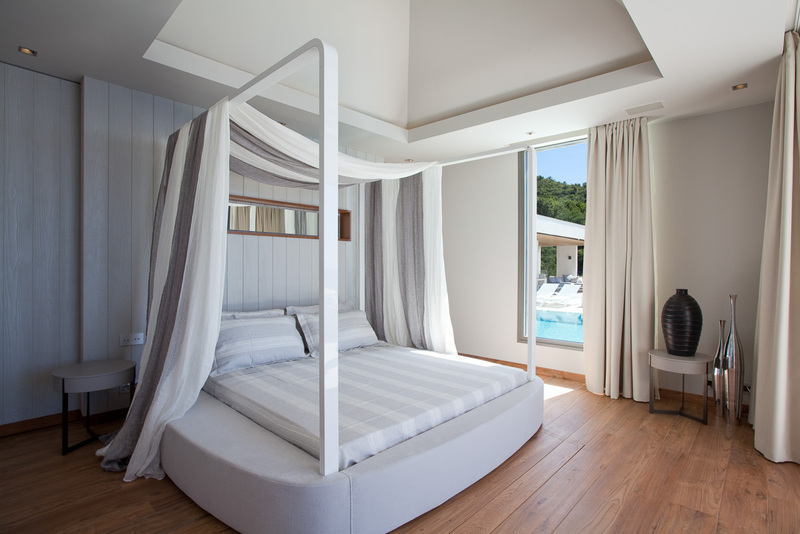 Each of the five bedrooms faces the ocean yet they offer guests a high level of privacy with their own ensuite bathrooms and private terrace or garden area, while the main living area is set aside in its own building. 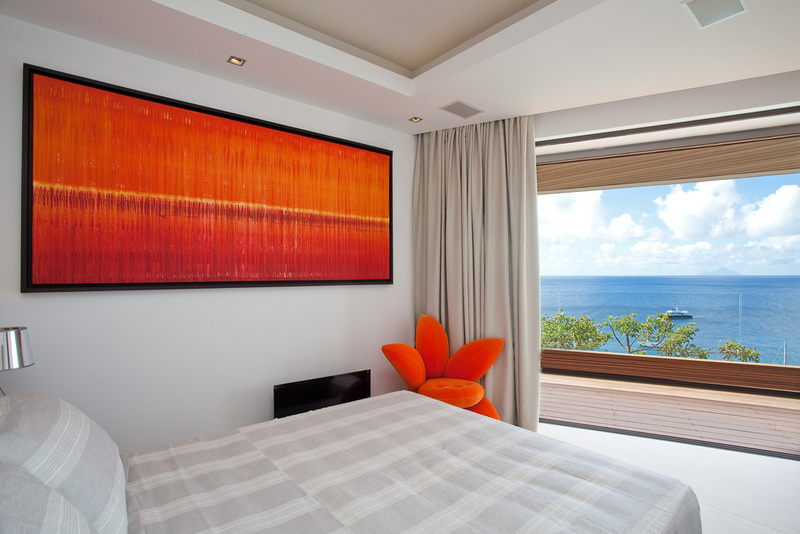 This dual aspect room opens out to a large terrace overlooking the Caribbean Sea and leads to the villa’s striking infinity pool. 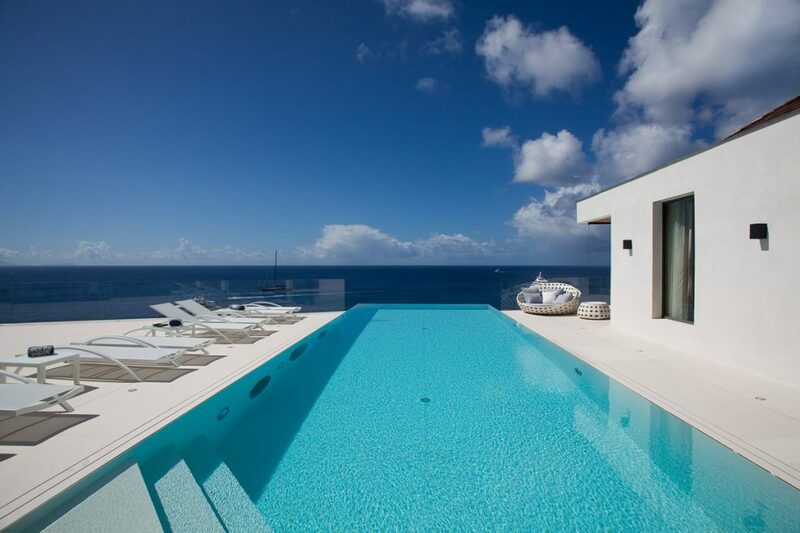 Only from below can the design of this pool be fully appreciated – it cantilevers out over the cliff face whilst windows in the wall of the pool provide a spectacular feature inside the villa. 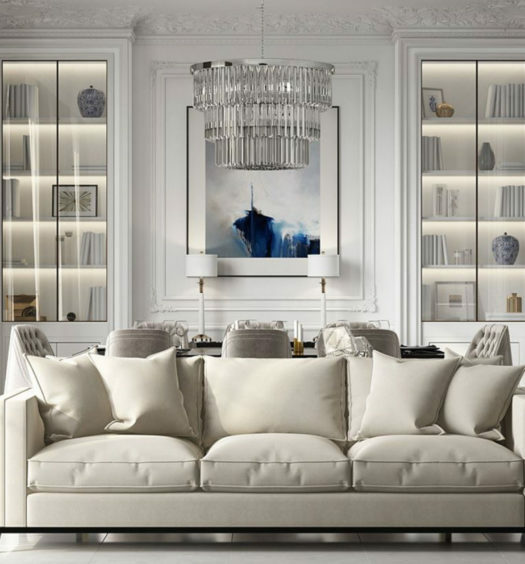 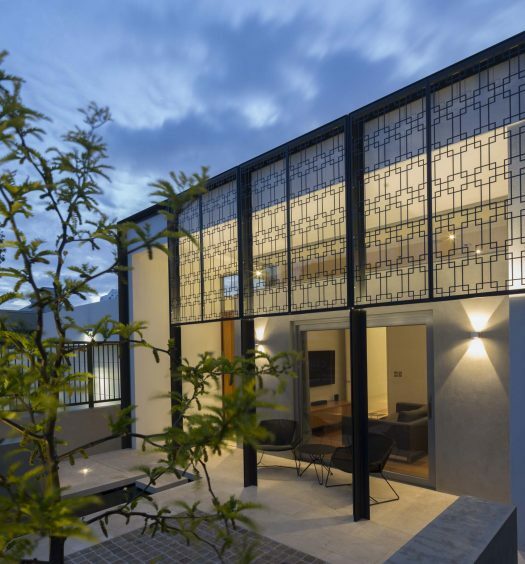 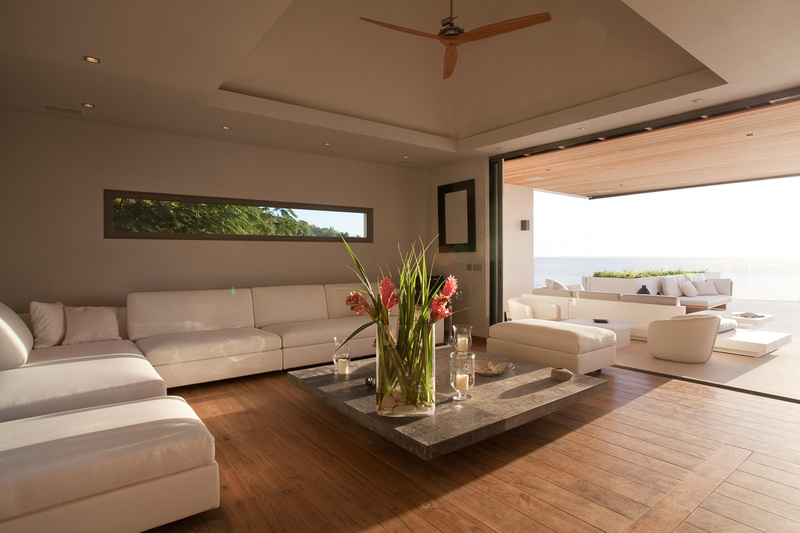 Floor to ceiling sliding glass doors allow the outside in, even when closed, but when open, the doors disappear into the wall cavity providing a seamless transition between inside and out. 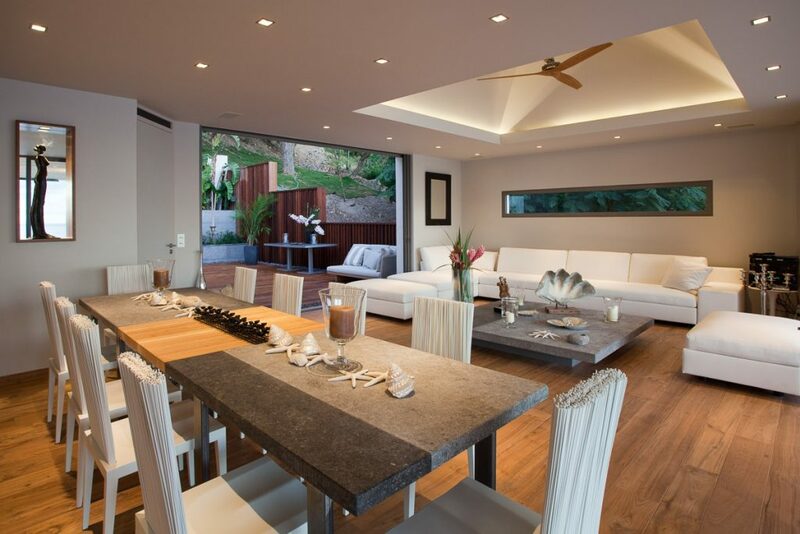 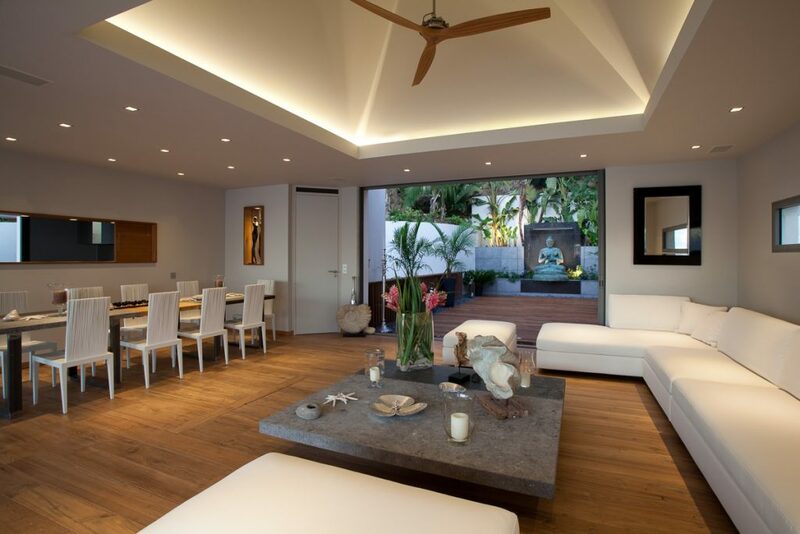 This open plan living dining room also has access to another terrace; a private Zen-like retreat complete with Buddha and tropical plantings. 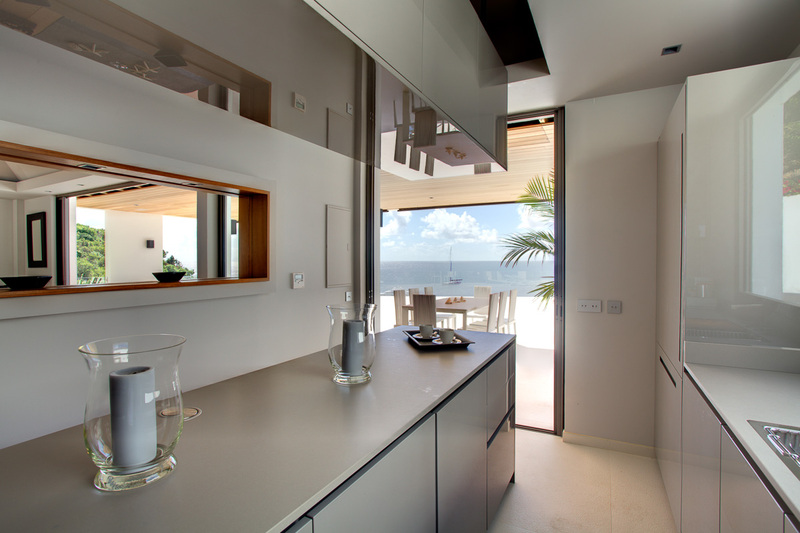 The kitchen is separate from the dining room though a long opening in the wall makes it easy to serve food and drinks while keeping the actual cooking a private affair. 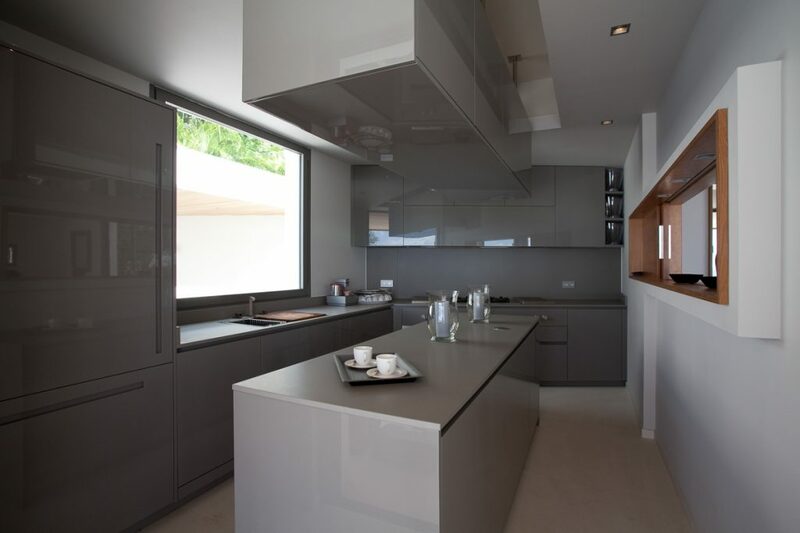 This sleek modern kitchen features high gloss cabinetry and counters firmly in keeping with the overall contemporary style throughout. 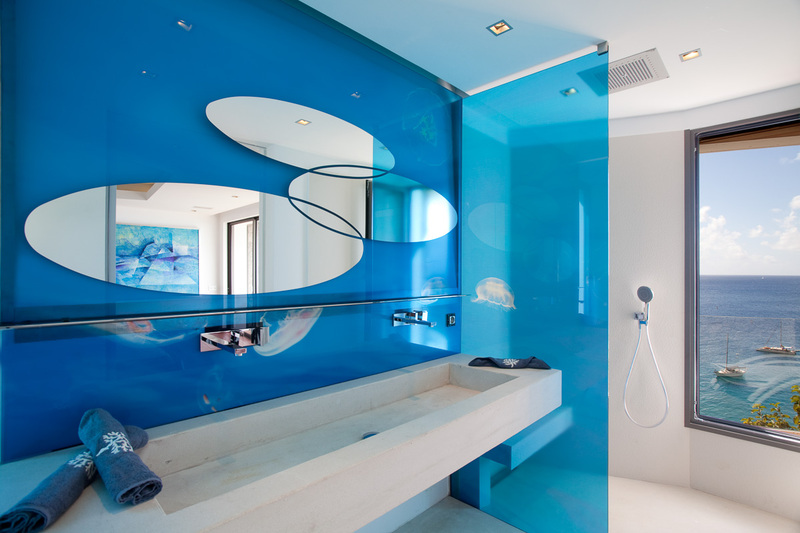 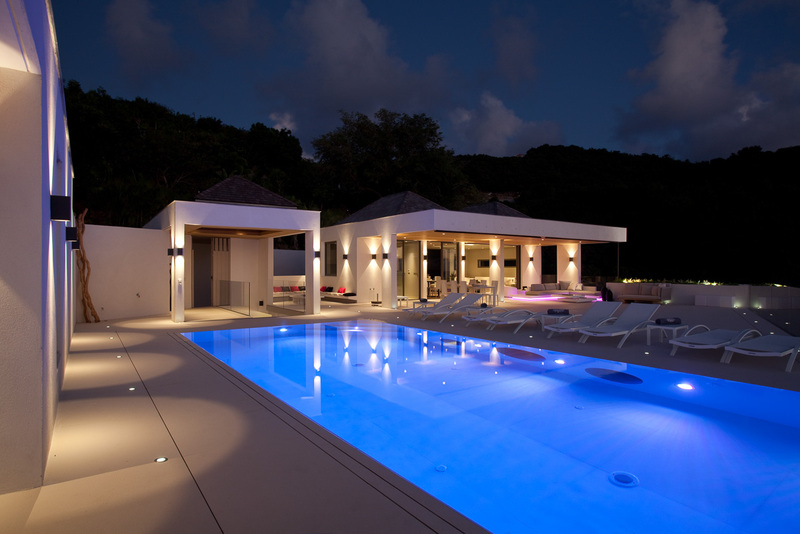 This is the way to do the Caribbean in style – the ultimate luxury private villa St Bart’s style.